The constant references to the denuclearization of the entire peninsula are a victory for North Korea. 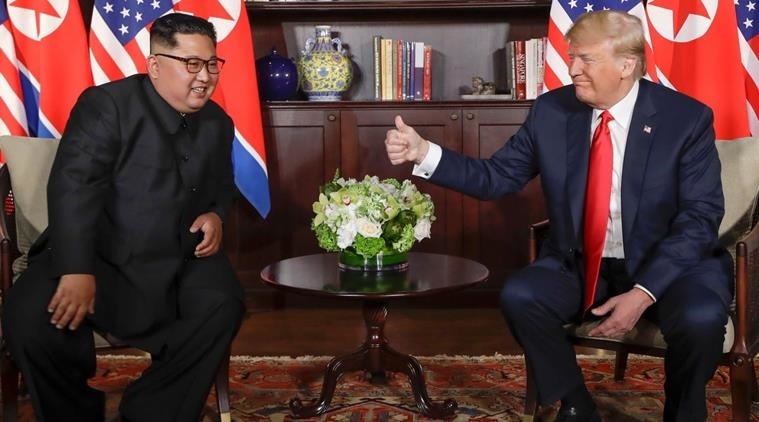 The agreement signed at Singapore is no doubt a landmark one in the history of relations between the United States and the Democratic People's Republic of Korea (DPRK). While it is definitely something of a foreign policy success for Donald Trump and the US in the background of an otherwise poor record, it is equally, if not even more substantially, an achievement for the DPRK and Kim Jong-un personally. With respect to the most critical element in the summit agreement, the text refers throughout to the "denuclearization of the Korean Peninsula" and not to any unilateral denuclearization by the DPRK. It is likely of course that there is some tacit understanding that the DPRK will take the lead, since they possess overt and declared weapons and delivery systems. The interpretation of this aspect of the DPRK's commitment in the agreement will undoubtedly be the key element in the talks on implementation that are to begin right away. But the text, in referring to the denuclearization of the Korean Peninsula, also refers therefore to any covertly held nuclear delivery systems that the US has in the peninsula. Potentially, it also covers the visit to Korean shores, meaning South Korea, of US nuclear armed ships, submarines, aircraft and the like. The normal US practice is to refuse to confirm or deny the existence of nuclear weapons and delivery systems on board such vessels. In this background, the constant reference to the denuclearization of the peninsula is a considerable success for the DPRK. Even if it emerges later that this is more optics than anything else, it is nevertheless clear that the DPRK has pulled off a success that few other, if any, countries, outside of the established nuclear powers, have achieved. On the face of it, it may appear that South Korea has been forced to the sidelines as a spectator, leaving the North to deal directly with the US President. But South Korea has definitely much to cheer about, quite apart from the dramatic de-escalation of tensions that the Kim-Trump summit's agreement represents. South Korea should be vastly encouraged by the fulsome and specific reference to the April 27, 2018 Panmunjom Declaration between its president Moon Jae-in and Kim Jong-un. The declaration has only the following direct reference to North Korea's nuclear capability -- "shared the view that the measures being initiated by North Korea are very meaningful and crucial for the denuclearisation of the Korean peninsula and agreed to carry out their respective roles and responsibilities in this regard." So, while the Panmunjom Declaration has set the tone for the denuclearization part of the US-DPRK agreement, the bulk of the Declaration outlines in considerable detail many measures to slowly build a new unity between two sections of a people divided by history. Among the most interesting potential outcomes of the two agreements taken together is the progress that can be made towards the coming together of the two Koreas, though it is unclear how far this will go in the short and medium term. In the event of the successful progress of this drawing closer, the world may see a Korea that punches even higher than it does currently in relation to its size.